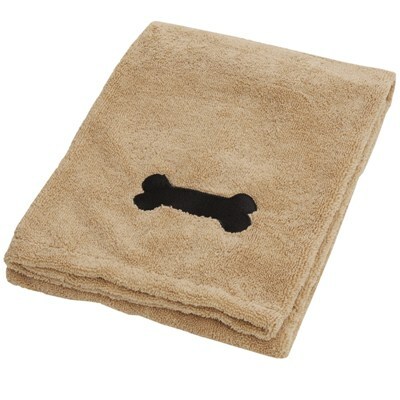 Highly absorbent Bone Dry micro-fibre dog towels to make bathing and drying time easier for you and your dog! Our microfibre dog towel works through capillary action to absorb large amounts of water and soiling. The revolutionary construction has 200,000 fibres per square inch, making it five times more absorbent than a traditional cotton towel and much lighter. 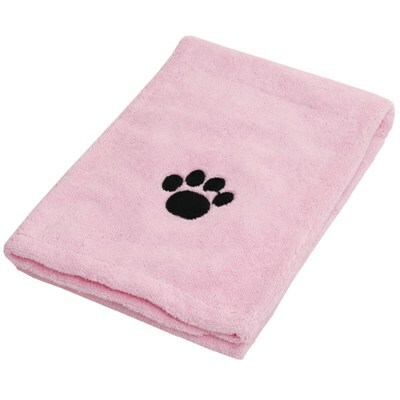 It is soft to the touch, hypo-allergenic and lint free, and dries much quicker than a conventional towel – no more soggy, smelly towels. 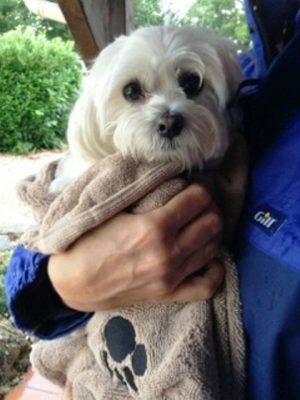 Attached is a photo of Titch wrapped up in the big towel after a rather wet walk. 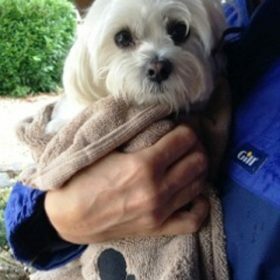 She hates the wet weather, but just loves to be bundled up in the big towel and dried off. It really is excellent for getting her dry in no time and means she comes into the house a dry, warm and happy girl! The mat is excellent to stand her on for all her grooming needs - I haven't tried putting it into the water when she has a bath, but I can imagine that because it is non-slip, that it would be useful for any dog that fidgets. 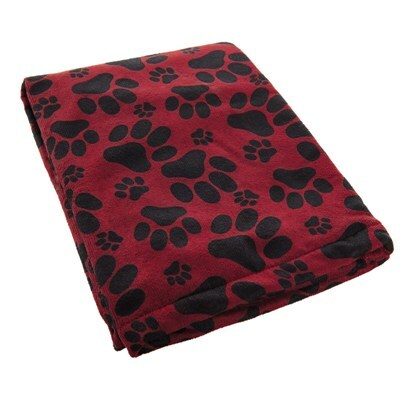 I also use the little black cloths regularly to dry wet paws, and I think they are possibly the best thing i have ever had for that purpose. In short, I think the set was a bargain, and I will be buying another one in the near future. Hope you like the picture!